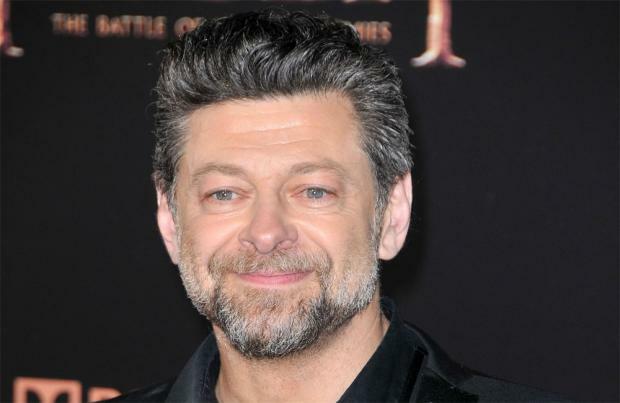 Andy Serkis plays a "strangely vulnerable" character in 'Star Wars: The Force Awakens'. The 51-year-old actor appears alongside the likes of Daisy Ridley and John Boyega in the new JJ Abrams-directed sci-fi movie, and he has revealed details of his mysterious on-screen character, Supreme Leader Snoke. Andy said: "Supreme Leader Snoke is quite an enigmatic character, and strangely vulnerable at the same time as being quite powerful. "Obviously he has a huge agenda. He has suffered a lot of damage." Although Andy remained tight-lipped about the movie's plot, he was happy to tease fans about his own character. He told Entertainment Weekly: "As I said, there is a strange vulnerability to him, which belies his true agenda, I suppose... He is large. He appears tall." Andy also offered an insight into the "distinctive" look of the character that will make its debut in 'Star Wars: The Force Awakens'. He said: "Just the facial design - you couldn't have gotten there with prosthetics. It's too extreme. Without giving too much away at this point, he has a very distinctive, idiosyncratic bone structure and facial structure. You could never have done it [in real life]." What's more, Andy explained how his character fits into the context of the 'Star Wars' series. He shared: "He's aware of what's gone on, in the respect that he has been around and is aware of prior events. I think it'd be fair to say that he is aware of the past to a great degree." From the ashes of the Empire, the villainous First Order rises up to destroy Luke Skywalker (Hamill) – but where is he? Fans can rejoice: Episode VII is sensational and surprisingly emotional, with a finely-crafted script and effects that never overpower the performances. Star Wars is back in a big way.